The household furnace is a major appliance, which is permanently installed to provide heat to the interior space of the house. The common fuel source used in the modern household furnace is natural gas. In America, it is noticed that almost 35 million homes use natural gas-fired heating systems, which is by far the most popular form of household heating system. Other fuel sources include electricity, oil, coal and wood. In some instances electrical resistance heating is used as a source of heat, especially when the cost of electricity is low. The US department of Energy has instituted rigid norms and standards in 1992 that requires the furnace to turn at least 78% of its fuel into heat. This is in order to curb waste and pollution. The traditional furnace draws the air from the interior of the house into a ductwork system. The air is taken to an area where it is warmed. The warmed air is circulated back to the household. Modern furnaces use blowers to re-circulate the warmed air. The circulating air is drawn into a filter first. This filtration helps to rid the house of the dust and other particles. The traditional wood or coal furnace has a sealed firebox where the fuel is burned. It is provided with a heat exchanger where the air is warmed before circulation. The modern furnace can be of two types – condensing and non-condensing. This classification is based on the efficiency to extract heat from the exhaust gas. Normally the furnace spreads heat through the intermediary fluid movement, which may be air, steam or hot water. The modern gas and oil furnace have a light that warms the heat exchange unit. This turns the air warm before it is circulated back thorough the house. An electric furnace uses heating strips to warm the air. The current temperature in the house is indicated by means of a thermostat. The thermostat is usually positioned on a wall at eye level and by changing the settings on the thermostat the temperature in the house can be changed. Nowadays advanced versions of furnaces come with automatically programmable thermostat. Modern furnaces operate without the chimney and are 98% efficient. The small amount of waste gas and heat are mechanically ventilated through a small tube through the side or roof of the house. Furnaces can be one-speed furnace and two-speed furnace. A two-speed furnace can function at low speed most of the time. It also allows for quieter operation compared to single speed furnace. A two speed furnace offers four degree variance in temperature swing when compared to a two degree variance of temperature swing in single speed furnaces. Furnaces of variable capacity are also available in the markets. These have a motor that regulates your needs automatically by adjusting air volume and speed. Gas furnace is more affordable than an electric furnace. Gas is also readily available. But it has to be well maintained and an exhaust vent has to be installed to enable the fumes generated exit the house. Gas furnace must be checked by a qualified professional at least once a year. In contrast the electric furnace is more expensive than a gas furnace. Electric furnace does not use flames, so no carbon monoxide is generated. It is cleaner, safer than a gas furnace. It is always better to choose a branded furnace that has a history of quality and reliability. It is better to go for furnaces that have the ‘Annual Fuel Utilization Efficiency’ accreditations and ratings. A higher rating ensures less fuel to heat your home. Some high efficiency furnaces have a rating of 96% and they are known as ‘condensing furnaces’ or ‘sealed combustion furnaces’. 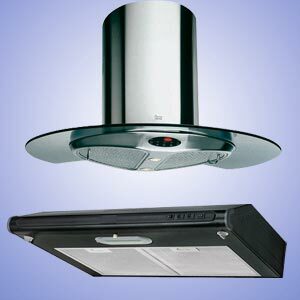 They feature an efficient variable speed motor which helps to raise the comfort and effectiveness of the furnace. Some furnaces come with a standard rating system for sound like air conditioners, but not all furnaces have a noise control system. Generally two speed units operate on a lower noise level than single speed units. Choosing the right furnace filter in keeping with the requirements of the household is an essential factor. A disposable (throw away) washable filter can be your choice if there are no allergy problems in your family. Electronic furnace filters have replaced traditional throwaway filters. Electronic filters are permanent, washable, non- electric and rely on static electricity. The main advantage is that these filters are permanent. They typically come with 10 year warranty. Certain branded custom-made furnace filters of various sizes are also available in the markets. Installing and cleaning of electronic filters is simple. Electrostatic air filters are better than throwaway filters because the arresting power of electrostatic filters is 88.3 % whereas that of throwaway filters is only 20 to 40%. Certain electronic air filters come with anti microbial agent to control bacterial, fungi and virus. Therefore persons suffering from allergies are strongly recommended to use electronic air filters that have better dust control. Electronic air filters can be expensive with prices ranging from $ 650 to $ 850 but they are the best solution to remove harmful particles of dust and pollutants from the air. Pleated Allergy filter: Nowadays pleated allergy filters with denser mesh material are available. These filters come with pleats that increase the surface area, thereby eliminating large allergens like pollen and mold. They are 35 - 50% efficient. A pleated filter is a cost-effective option for reducing the allergens. A washable pleated filter costs around $ 5 to $ 15. It is designed to last up to three months. A high efficiency pleated air filter can even cost up to $ 250 to $ 450. In this context it is interesting to know that dust is dangerous and an ordinary dust can contain up to 11,583,800,000 bacteria in each ounce. Therefore the initial cost of pleated allergy air filters can be offset with lower medical bills. Disposable fiberglass filter: These furnace filters are less effective than electronic air filters. They are simply designed to block only large particles of dust and grime. Smaller particles of dust like pollen and mold can pass through the filter. Therefore it is not safe to be used in the house with pets and can cause allergy problems to persons prone to allergies and asthma. Whatever be the nature of furnace filters, it is necessary to change/clean the filter regularly to prolong the life span of the furnace system. It is also necessary to clean the filter to enable efficient operation of the furnace. In households with allergies, asthma and respiratory problems, it is essential that air is dust free and the right furnace filter is used. No matter what type of filter is chosen, it will work best only if the blower fan is running continuously. Setting the fan to ‘on’ will help air circulation throughout the house thereby preventing warm air from rising and pooling near the ceiling. This will bring added comfort. Nowadays wooden furnace comes in combination with oil and gas fuels that allows using wood only when it is convenient. The central system is fueled by gas or oil, which will take over automatically when the temperature in the wood furnace drops below a certain limit. One has to consider the housing situation before deciding on a wood furnace. Wood furnaces are more suitable for traditional households that have chimneys with fireplaces, or wall thimbles for venting wood stoves. Stand-alone wood furnaces cannot be controlled as easily as gas or oil furnace. Surges of heat can push the temperature beyond the safety point for using existing hot air ducts. Wood furnace emits heat temperature above 1000 degrees F. But there is no consistency in wood furnace heating efficiency. For efficient heat distribution, it is essential to have a central heating system, which the wooden furnace may not be able to provide. It is sufficient only for homes that have a family room with a fireplace. Wooden heating systems need more tending than others. There is the danger of young children getting attracted to the flame of a fireplace or to the warmth of a wooden stove. Therefore such wooden furnaces have to be adequately protected by an exterior shell, which may become warm but not hot. 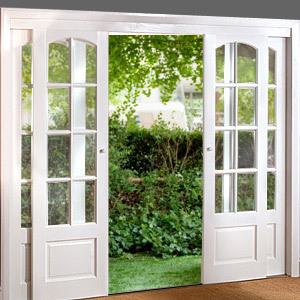 Glass fireplace doors add safety in a household with a child, or a disabled aged person. A wooden furnace may not be able to stop the water pipes from freezing or if the family is away for an extended time. Outdoor wood furnaces can be placed in the yard and come in attractive shapes so as to complement the landscape. But often it is noticed that outdoor wood furnaces emit dangerously high levels of emissions that can lead to respiratory problems. Besides wood smoke and other air pollutants may be carcinogenic. Outdoor wood furnaces do not need constant attention. Typically outdoor wood furnaces cost anywhere between $3,000 and $10,000. Natural gas furnaces are clean, comfortable and high on efficiency. Natural gas can create a cozy atmosphere from the basement to the bedroom, from family room to the kitchen. Most Americans find the natural gas furnace a perfect choice for their homes. A natural gas furnace is also known as condensing furnace. It is simply the most energy efficient furnace available as it yields almost 97% efficiency. The natural gas furnace is designed to extract additional heat from natural gas and during this process the fuel gas condenses or turns to water – hence the name condensing furnace. The high efficiency natural gas furnace is estimated to help save up to 24% in energy related costs and thus insulate the householder from increasing energy prices. Some natural gas furnaces come with the technically advanced energy-saving electronic ignition that has replaced the continuous pilot light. Another distinct advantage of a natural gas furnace is that it exhausts directly through the basement wall to outdoors, thus eliminating the need for a chimney. Some natural gas furnaces have a direct source of combustion air from outdoors, eliminating the need for a separate source of combustion air. An annual maintenance check is enough for the high efficiency natural gas furnace to operate efficiently and last longer. A natural gas furnace is vented through an outside wall with low-cost plastic pipe allowing for flexibility of furnace placement. This feature offers the facility to reconfigure the furnace room. 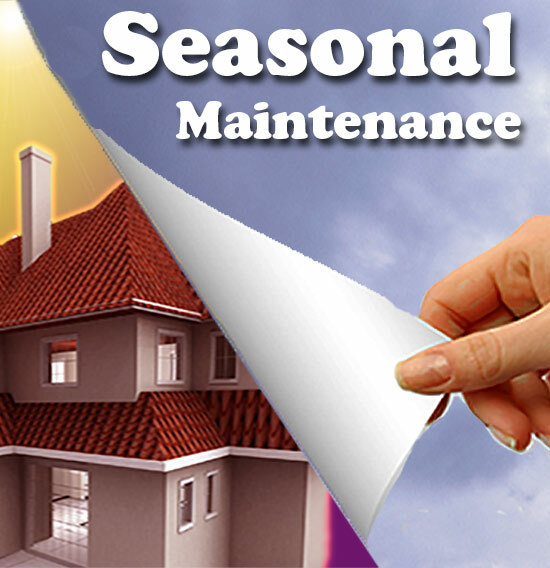 It is prudent to get the furnace fitted and serviced during fall. Do not wait for the busy winter months. 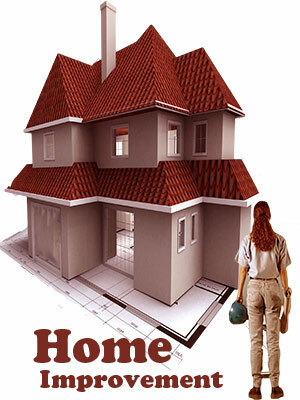 Check if the heating systems and furnace ductwork is in place. 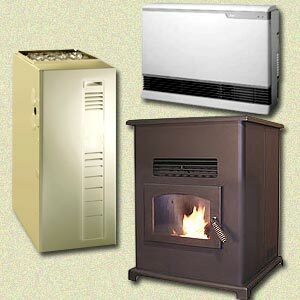 Choose a furnace that is best suited for your requirements. Buying a furnace larger than you need is a waste. Never use a furnace until a clean filter is installed. Do not open the front panel of a furnace before turning the furnace off. If someone in your house has allergies, asthma or respiratory problems, it is always safer and better to use an allergy reduction dust free air filter. Tanks of oil furnaces should be buried. If they leak, they become environmental hazard. It is better to have an expert install your furnace system. Most fires are attributed to improper installation of furnaces. First Published Date: Feb 10 2007 Last modified Date: April 18 2019 This page may have been updated recently as new information is available or the content may have been edited for better readability.